A Star Turn from Los Angeles County Newsroom on Vimeo. 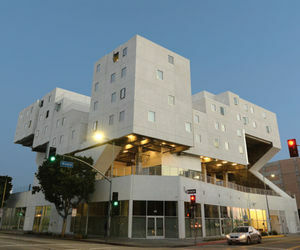 Los Angeles County Newsroom visited the Star Apartments to talk with residents and staff to learn more about the innovative complex. 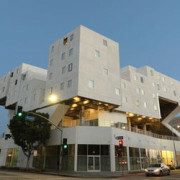 Named one of TIME’s best inventions of 2015, the Star Apartments is a product of Skid Row Housing Trust’s pioneering partnership with Los Angeles County Department of Health Services, which identifies and refers individuals to the Star who were homeless and frequent utilizers of its emergency health services. Watch to find out why the Star is a nationally recognized model studied by organizations and local governments seeking to address the root causes of homelessness in their communities.